Dragon Ear Cuff with Matching Crystal Earring features a fierce dragon earring ear wrap with a matching crystal earring for the other ear. 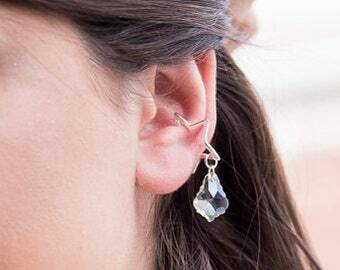 The left ear will host a dragon wrap with a pieced tail and a glass crystal dangle while the right ear will host a matching glass crystal dangle leverback earring. 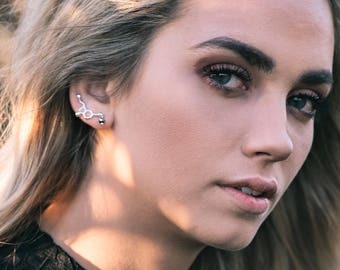 The dragon ear cuff with matching crystal earring requires pierced ears and is available in golden bronze or antique silver with a custom color glass crystal dangle. 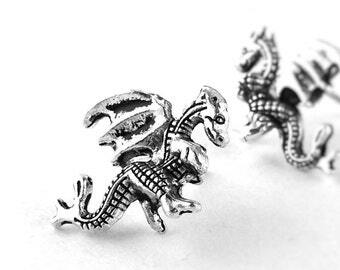 The dragon earcuff is stunning on it's own or paired with the other matching dragon jewelry and accessories available separately throughout my shop. 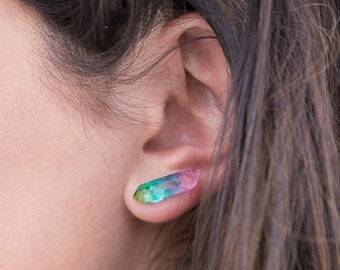 SIZE: One size fits most, but if you would like to leave me a measurement from the top of your ear to your ear pierced hole in the "notes to seller" box at checkout, I can adjust the ear cuff for a better fit. 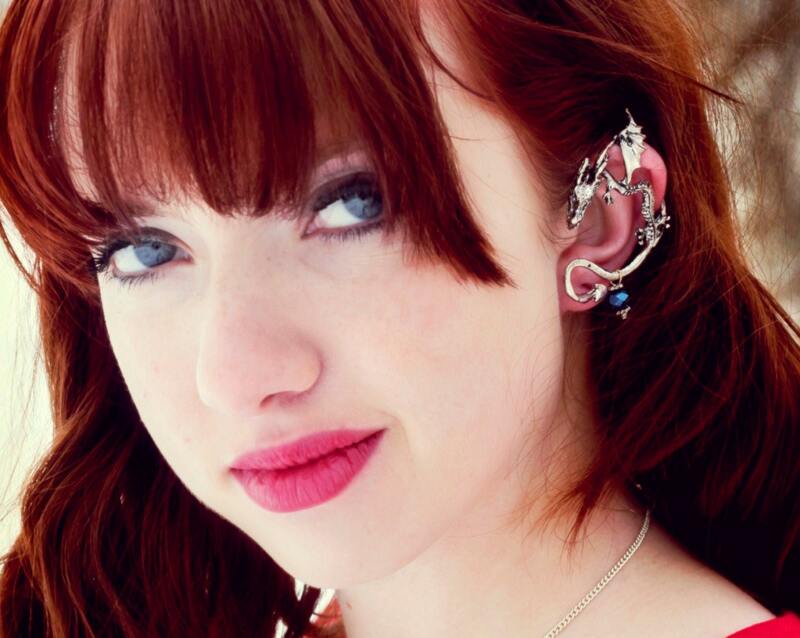 For more EAR CUFF designs, CLICK HERE! For more DRAGON designs, CLICK HERE! Thanks for stopping by! My customer's satisfaction with my work is always top priority and I want you to love your new pieces as much as I love designing them. I am always adding new treasures and collections so be sure to check back often. Please be sure to read all my shop policies before purchasing. Always feel free to contact me with any questions or just to say Hello! Happy shopping! I lost the first one on a photo shoot. This is my second one! I love it! I have had many comments on this, all good! I love it as it is celtic as well as any other kind of dragon tradition.